I’m a stay-at-home mum so theoretically I should have a lot of time to write but it never seems to work out that way—I’m great at finding excuses to avoid writing. Each week I set aside one full writing day for work on my manuscript. My ideas generally originate from life or real-life events. For my debut book, Jenna’s Truth the suicide of Canadian teen, Amanda Todd was my motivation—I couldn't bear to think that a young girl had taken her life because she had been bullied. I wanted to rewrite history and change the ending so justice wins out in the end. I’m not a natural outliner or plotter. For me, the story always starts with a character. Once I have a character, I begin story-world building. Generally when I begin writing I have the basic narrative arc outlined in my head but the story and characters could change what happens at any time. I’m very much character driven. Anything progresses if you put a lot of time and effort into it and so my writing has developed and will hopefully continue to do so. I’m slowly getting better at the more technical aspects of writing. Aspects such as pace, dramatic tension, visceral elements of description, writing in different points of view, finding my voice, and grammar and spelling seem to all be slowly improving in my work. I know some writers talk about writer’s block but fortunately I’ve not experienced it (yet). I think writing to a routine can probably help and not waiting for inspiration. Discipline means you write even when you don’t feel like it. My debut book, Jenna’s Truth is available as a second edition through Serenity Press. I’ve also had a number of short stories, creative non-fiction essays and articles published. Jenna’s Truth can be purchased directly from Serenity Press or you can read my short stories via my website. Jenna Wilson is an ordinary teenager who is tired of being invisible. Disaster strikes when Jenna worms her way in with the popular kids at school. The stakes become much higher when Jenna finds herself choosing between life and death. My book, Jenna’s Truth is gritty urban contemporary fiction for YA readers. I’m currently working on a longer piece of work in the same category and genre. My short stories are contemporary fiction for adults. YA stories are about teens and focus predominantly on that angsty period of life when life is messy and protagonists often face uncertainty about many aspects of their lives—themselves, their futures and their places in the world. Issues faced in YA stories are often real and hard-hitting. Writing for a YA audience means I get to share life lessons with teens in a non-didactic and empathetic way. I can hold a mirror to their lives and show them how valuable they are and how much we need them to be true to themselves. For me, it’s an opportunity to build into the future in a very real and meaningful way. My publisher and I are currently in talks with a playwright to develop Jenna’s Truth for theatre production. Seeing the book performed in high schools would be a dream come true for me so more than anything I would love to see a local talented teen playing Jenna on the stage. How did you get into traditional publishing? My publisher approached me directly about buying the rights for Jenna’s Truth when she discovered the story on social media. My journey to publication is a bit of fairy tale story really and not the usual path to publication. I’m expecting it to be much more difficult to secure a book deal for my current manuscript. Would you ever consider self-publishing? Never say never in this industry. Self-publishing is not my ideal route to publication because I’m not keen on spending writing time promoting and doing the hard graft of sending books out into the world. At the same time you never know what’s around the corner, so I’ll keep an open mind and all my options open. What advice would you give writers who want to go down the traditional publishing route? Perserve. Book deals are hard to come by but that doesn’t mean publication is impossible. If you really want to be published work hard developing your craft. I believe that if your work resonates deep within yourself and that if you write what’s in your heart rather than writing for publication you will be successful. It may take a very long time but perseverance will ultimately see you reach your goals. I’m currently working on a gritty YA novel with a working title of JR, Phee & Baba Ami. The story revolves around a talking dog and a seventeen-year-old boy obsessed with manga. They are both trying to survive living in an environment of domestic abuse. JR, Phee & Baba Ami is a story of survival, resurgence and what it means to be bigger than where you come from. Australian author, Nadia L King, was born in Dublin, Ireland. 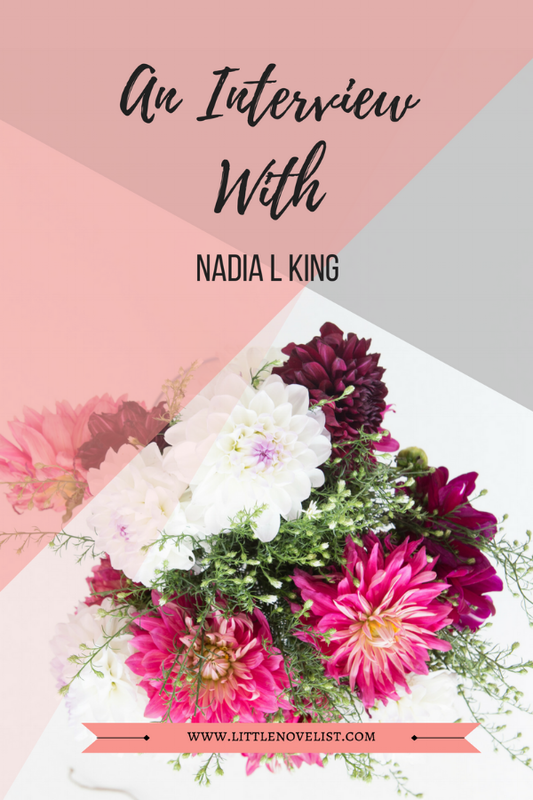 Nadia is a YA author and short story writer. Serenity Press is releasing a second edition of her book, Jenna’s Truth in 2018. Inspired by Amanda Todd's tragic story of bullying, Jenna's Truth is more than just a teen story it's a lesson in empathy, self-awareness, and speaking out about what matters, especially bullying. Nadia lives with her family in Western Australia.